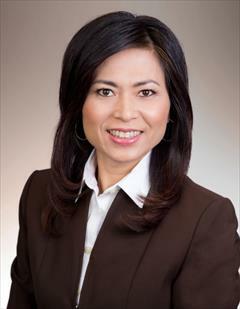 Mei Pang is a distinguished real estate professional serving buyers and sellers since 2002. Over the years, Mei assisted local, national, and international clients with their real estate transactions. As part of the Prudential Advantage team, one of Hawaii's finest real estate firms, Mei has many resources available including technical research and information systems, legal advice and support. Having lived in Shanghai and Oahu for many years, Mei brings an international perspective to her real estate approach. Mei speaks and writes fluently in Chinese (Mandarin and Shanghai Dialects) and English and understands Asian and Western thoughts, cultures, negotiations, and business processes. Her training in MBA, and years of experience in Business and Real Estate have earned numerous distinctions in her quality of service to her clients. Her cultural sensitivity to Eastern and Western cultures gives an added advantage in meeting the needs of her clients locally and internationally. In 2004 Mei obtained the designation of Fine Home Specialist, and broker license in 2008.